Installing LED lights in your patio umbrella can enhance your evenings and make your outdoors brighter during the night time. LED lights can come in very handy when you want to host a BBQ, patio party, yard hangouts or to dine outside with your family. Umbrella lights also offer a stylish yet cost effective way to add visual appeal to the outdoors. You can choose from many options such as stringed lights that connect to the ribs inside the umbrella. Or go for battery operated lamp style lights that get attached around the patio umbrella pole. This pack of patio LED lights comes with three different settings for lightings: 4 lights, 24 lights and 28 lights. This brightness setting offers you variety and versatility. 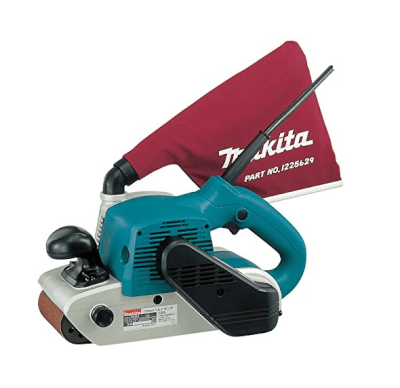 This is a cordless set which can be installed manually without using any other tools. Another great feature is that the battery lasts for 10 hours which is enough for evening time. The LED lights are not only bright but they are also energy-saving environment-friendly bulbs. You can also install them face down or face-up depending on whether you want direct or indirect lighting. The pack is also lightweight so it will easily install in the umbrella without ruining it. Almost all customers who purchased this product are satisfied with the lighting effects that QPAU LED lighting delivers. These white lights for patio umbrella are also cheaper than most sets but the quality and performance is of great quality. 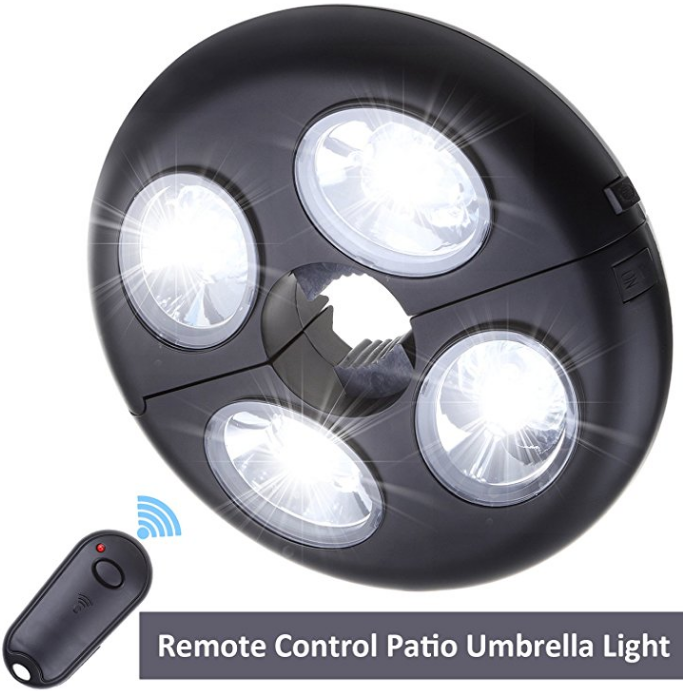 If you are looking for a cost effective pack of LED lights for patio umbrella, this could be a wise choice. This is a pack of LED lights that consists of 24 bulbs and comes with three settings for 4 bulbs, 20 bulbs or 24 bulbs. The bulbs are also meant to produce concentrated beam which will not attract moths and mosquitoes. This is an important feature that counts when you want to enjoy your evening outside. AMIR LED umbrella lights also come with three rechargeable batteries which will keep your evening lit for a long period of time. You will not have to worry about recharging your battery every other day. 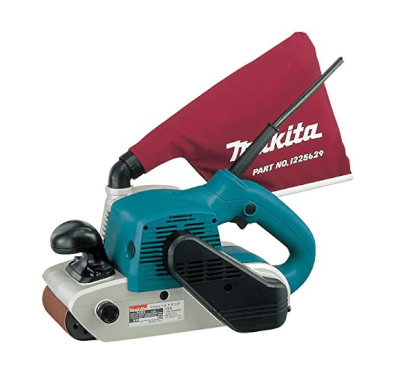 Since they are cordless and lightweight you can install them to your umbrella without any hassle. Most customers have loved the arrangement of bulbs in lighting which can make a huge difference to the entire atmosphere. Another reason that it has been a favorite is because the light is quite bright and lights up the table without any problem. In short, this set is also an ideal one for multiple reasons. Whether you want to install umbrella lights for a romantic evening or a yard party you can get this pack that will last you for a long time. With multiple settings you can choose the kind of ambience you are trying to create. There is no auto off. Parateck Patio LED light pack is controlled with a remote and has 27 LED bulbs. The two modes are full light which operates with all 27 bulbs whereas the dim light operates on 15 bulbs. The remote control works even from 20 ft. away which allows more control over your ambience. The remote does not only switch the lights on or off, it also allows brightness settings. There is also space in the lighting pack to put the remote so that you don’t lose it once you are done setting lights. This pack is easy to install and it comes with a thick ABS shell which does not only offer more support but also adds style to lighting. This pack is also ideal for camping purposes and being compact, will fit easily. Parateck lights are also bright and come with a decent arrangement which provides perfect lighting for evening dinners outside. It is a suitable pack for all kinds of patio umbrella purposes. It is also relatively cheap so you can afford this on a budget and enjoy your evenings outside in bright lights. Light is not as bright as other LED light packs. The Gerson Company light packs has lights on both side and has 36 LED bulbs altogether. 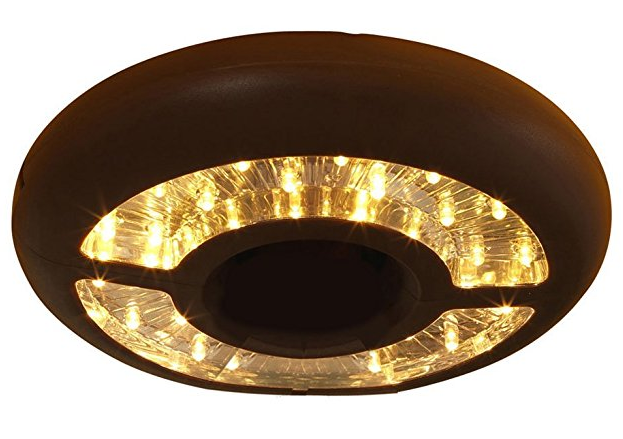 It has yellow light which creates a warming glow for dinners and yard evenings. There are also different settings for this pack so you can enjoy bright lights or dim according to your mood. The Gerson Company lights are simplistic in design but the bulbs are arranged in an orderly manner so it casts light all over the table. The most attractive thing about this pack is that yellow lights create a more attractive ambience and you can invent a perfect atmosphere for a chill evening. They are also easy to attach and you will not have any trouble installing these into your umbrella. Since the lighting is on both sides: up and down, it will spread light all around and brighten up your evening. However, the lights are not meant to be read under, they are just perfect for dinners and chill evenings. Overall, they are a good pack of LED lights that will come in handy from time to time. This is a unique vintage design that looks like lanterns with candlelight inside them. These come with steel hands which can be hooked to the umbrella. They are also solar charged LED lights which mean that they will charge during the day and you can turn them on at night and battery lasts for up to eight hours. This gets you rid of worrying about charging the lights. These rustic designed candle LED lights by Blackpig are also waterproof so you don’t have to worry about taking them off in rainy weather. These lights do not only provide light but they are also decorative and add the perfect look to your patio setting. The size is also adequate while simultaneously lighting up your patio, yard or lawn. Simply hook the lantern LED candle lights to your umbrella and bask in the glow of candlelights. 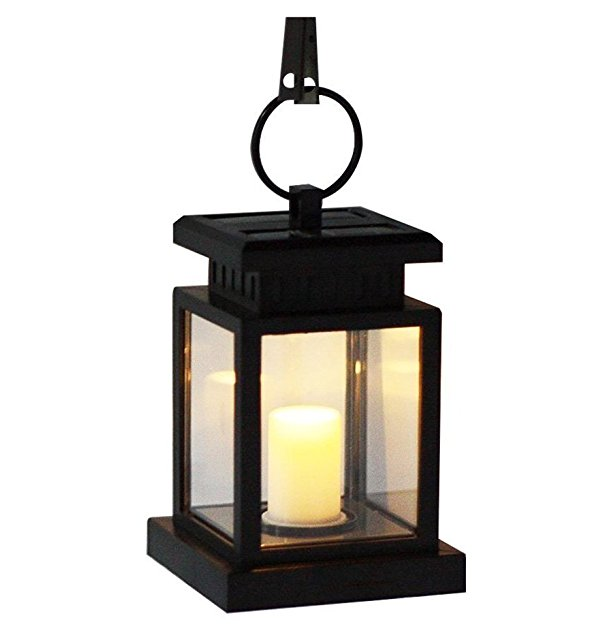 The lantern frame comes in black which makes these look elegant and beautiful. Since you have to buy these individually you can also choose the number of lights that you need according to your preference and nature of the event. In short, this can be an investment with a stylish look and warming lights. You might have to buy more than one for brighter lighting. 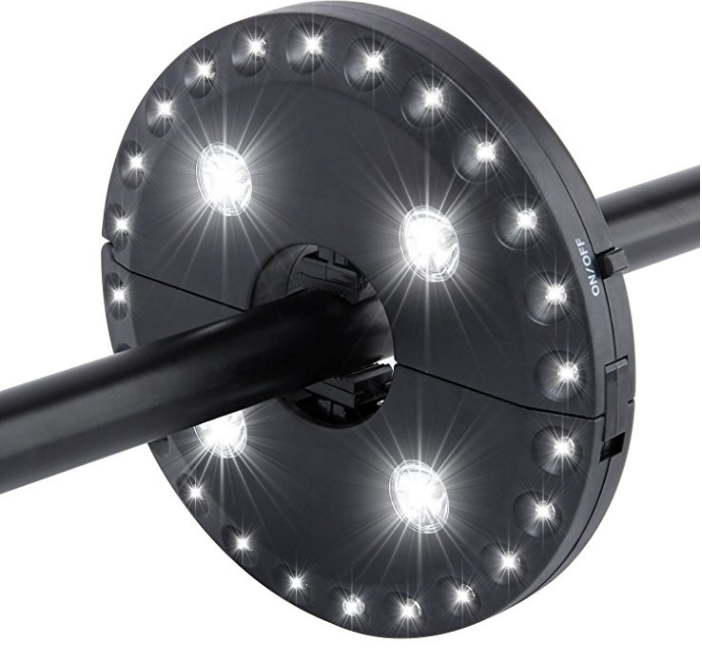 This pack of LED umbrella lights is a standard design with 28 LED bulbs. It also has three different settings which include 4 bulbs, 24 bulbs and 28 bulbs. The sleek grey casing for white lights make them look elegant and modernist. This pack is also easy to install around the umbrella pole. The bulbs of DISCOBALL umbrella lights are also energy saving bulbs which means that battery will last for a longer time and you don’t have to fuss about running out of battery too soon. It is ideal for BBQ parties, playing cards, chilling with friends, camping and other such events. Since it is compact in size you can easily travel around with this pack of lights as well. DISCOBALL patio LED pack is neatly arranged to spread light evenly around the table in all three settings. The light is bright enough for multiple purposes. This pack is also cheap so it is an affordable pack of LED lights that you can install while remaining within your budget. If you want a set of standard umbrella LED lights on a budget you can buy DISCOBALL LED lights that are battery saving and easy to install. This is a sleek design of LED lights that comes with LED lamp beam instead of standard bulbs. The total number of beams is 20 and it comes with four different settings. The four modes include single color lighting, flash lighting with music, still light with music and lighting with timer. 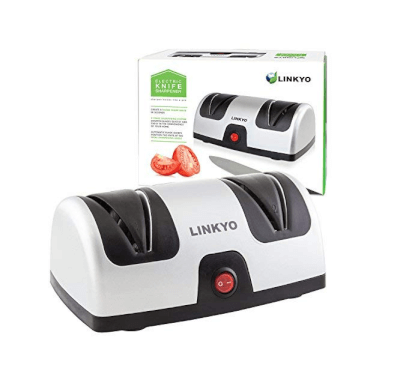 It also comes with a Bluetooth speaker which can be connected to most Bluetooth devices so you can play your favorite music during a yard party in the evening. 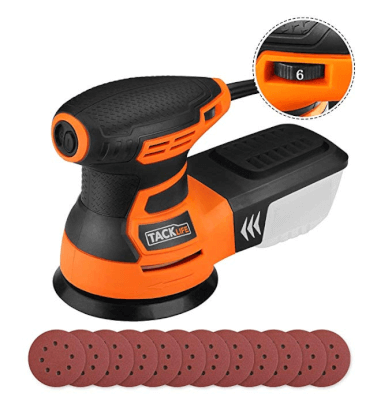 These wireless LED lights are easy to install and come with a rechargeable battery that will last you for four to five hours with all the features. You can control each feature with help of a 22-key remote control. This offers you control over your lighting and ambience. 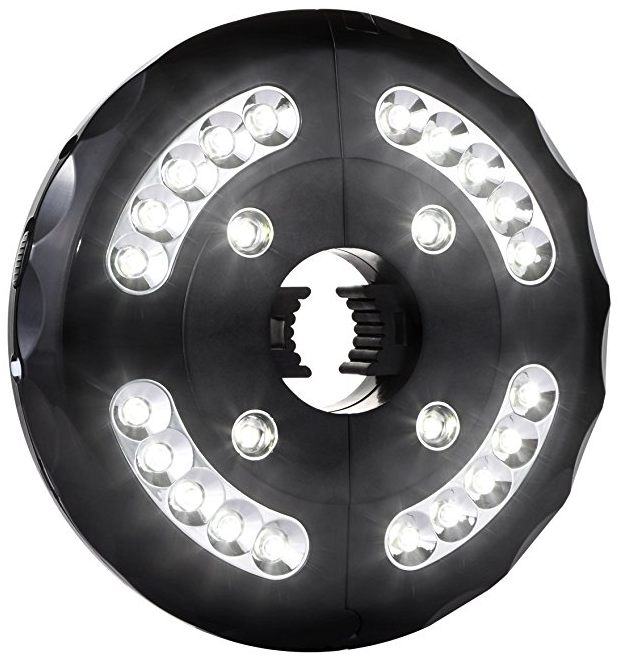 Since these lights come with so many distinct features they also costs more than many other lighting packs. However, this can be a great lighting pack if you hold dinner parties fairly often and can be an investment into your dinner arrangements. 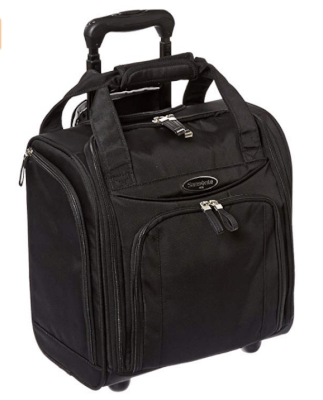 It is perfect for any kind of outdoor use such as chilling by the patio, garden party, BBQ and even camping. The lighting is also bright enough and it will light up your table enough that you can even read under it during your solitude moments. 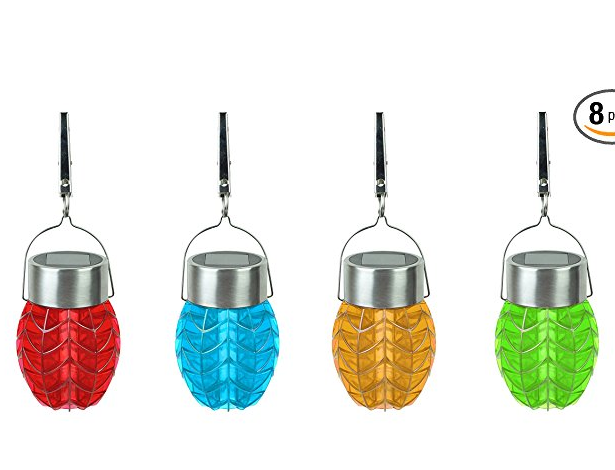 This is a pack of 8 LED bulbs that can be attached to umbrellas, gazebos, ceilings and much more. These festive lights are solar charged and are infused with Moonrays advanced technology. This allows the lights to work for up to eight hours during the night time. Since the lights get charged on sunlight you can rest assured that they will always be ready to use when you need them. These are also cool-to-the-touch which means that they do not heat up so they are safe to hang even with children around. This set of colorful lights does not only provide light during the evening time but they are also quite festive looking during the day time. This means that you can hang them outside to make your outdoors look just as beautiful as the indoors. As the sun sets they will automatically light up and you can use them either to enjoy time alone, with your family or friends. This pack of 8 colorful LED lights might be more expensive than other lights but they are worth it if you want an impressive setting for your patio. Since they are solar charged and save you energy these can be an investment in the long run. In a nutshell, these lights are an interesting addition to your outdoors. 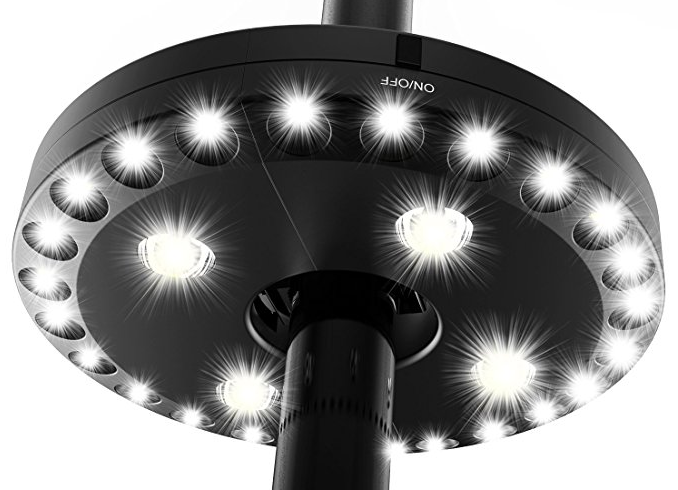 Costs more than other LED umbrella lights. LED light offers benefits that standard light often misses out on. For instance, for outdoor settings, LED lights will not attract most insects and last much longer than ordinary bulbs. When you buy LED patio umbrella lights you can browse through multiple designs that fit your taste and preferences. If you want lighting for parties and hangouts you might want to opt for brighter and festive designs. On the other hand, if you want them for family dinners or some alone time you can settle for dimmer lights. 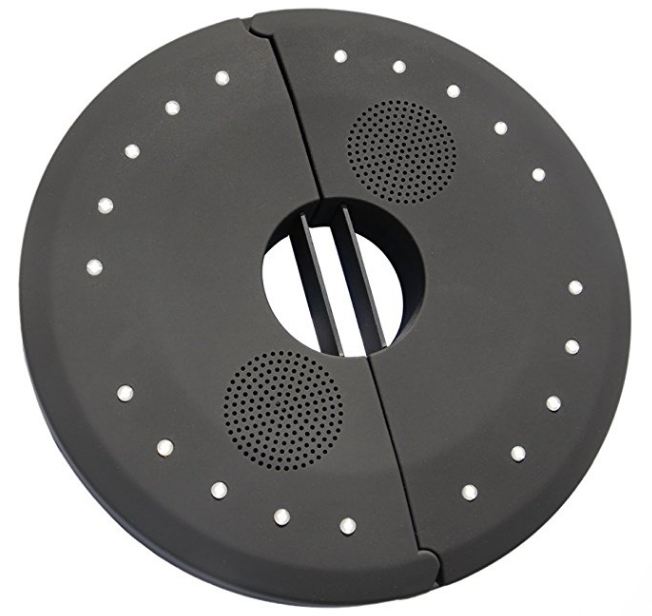 Our list of LED patio umbrella lights offers both variety and functionality. It can help you narrow down your search and choose a product that best suits your needs and budget.